5 Cocktails to Celebrate National Tequila Day & A GIVEAWAY! - Kosher In The Kitch! 5 Cocktails to Celebrate National Tequila Day & A GIVEAWAY! - Kosher In The Kitch! 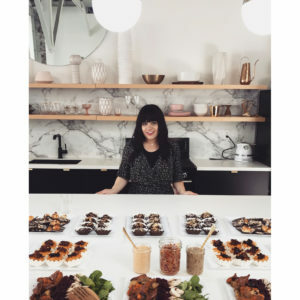 Home / Drinks / 5 Cocktails to Celebrate National Tequila Day & A GIVEAWAY! 5 Cocktails to Celebrate National Tequila Day & A GIVEAWAY! Happy National Tequila Day! 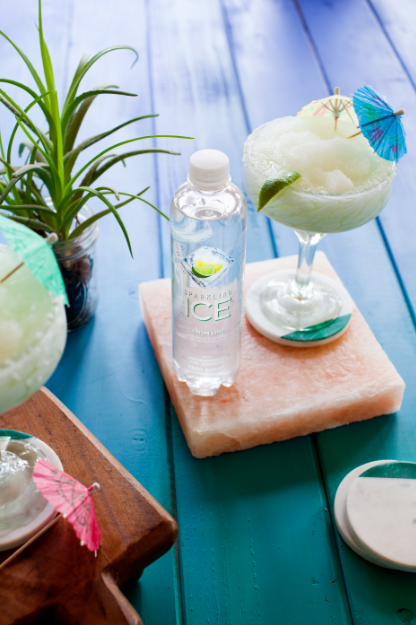 To help you celebrate we’ve got five deliciously low cal cocktails using Sparkling Ice as a flavorful base for these fun and fruity tequila infused beverages. Want to blend a batch up at home? 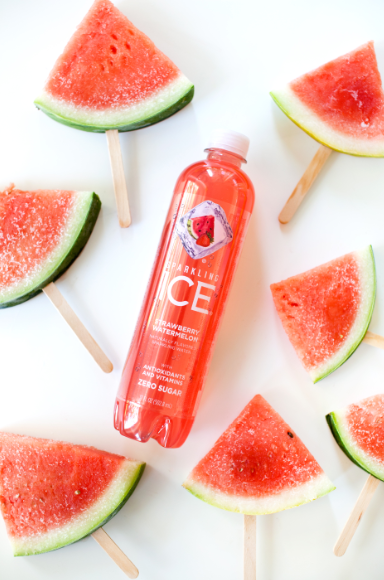 Enter below to win a few bottles of sparkling ice for the next time you want to be the hostess with the mostess, or at least the one with the fun drinks! 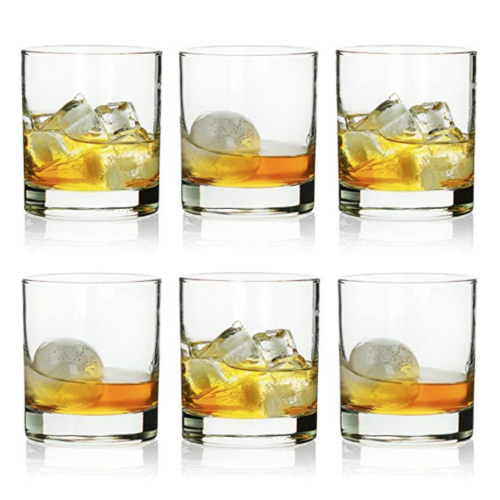 Also included in this giveaway is a set of six drinking glasses for all of your fun and flavorful cocktails! To enter this giveaway leave a comment below letting us know which drink sounds the most delicious. Giveaway open to U.S. mailing address only. Stir together tequila, Sparkling Ice Strawberry Watermelon, and lime juice in a large bowl. Cut watermelon into wedges and soak in Sparkling Ice mixture for 15 minutes. Insert popsicle sticks into wedges then freeze on a rack-lined baking sheet for 1 hour. In a blender, add one cup of ice, tequila, Sparkling Ice Lemon Lime, and lime juice. Blend until smooth and pour into a glass and serve with a lime wedge. !GIVEAWAY! Win a selection of Sparkling Ice Drinks and Six Drinking Glasses! Comment below letting us know which drink sounds the most delicious. Serious YUM!!! They all look delicious but if I had to choose one I’m gonna have to go with the Sparkling Paloma. Can’t wait to try them all! these drinks look super refreshing and simple to make which is sucha bonus!!! Citrus freeze! Definitely want to try that! 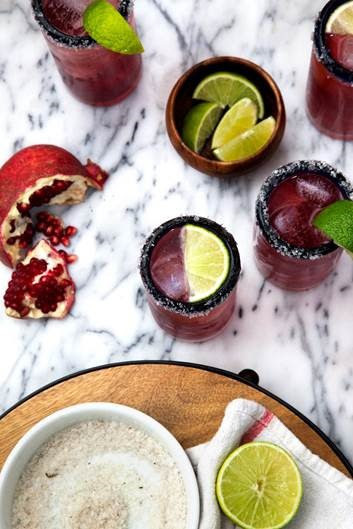 Oh that pomegranate margarita sounds so amazingly fresh and exciting, and right up my alley! 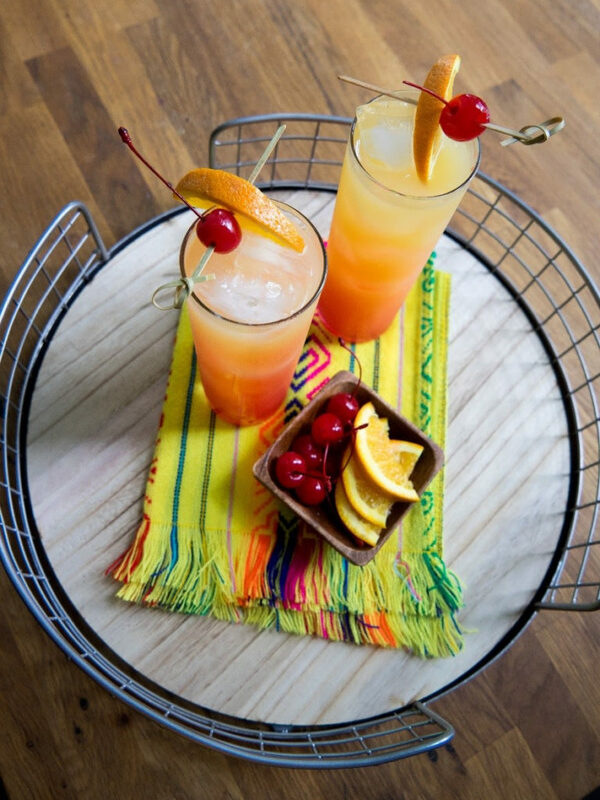 The sparkling tequila sunrise looks amazing! They all sound soo delicious and refreshing!!! Citrus Freeze. ….going to fux one now.. yums …. Soaked watemelon slice popsicles omg sounds so good and refreshing!!! The pomegranate one looks yum!!!! 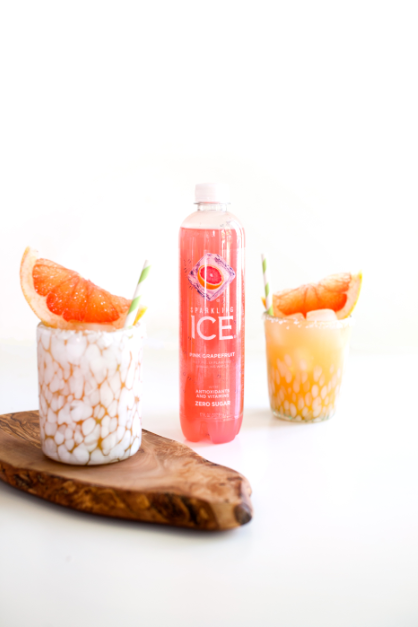 Such creative ways to use sparkling ice drink. Can’t wait to try the pomegranate one! The Pomegranate Margarita sounds great, so the Sparkling Ice Classic Lemonade sounds best to me!